It's a fun movie, but nothing too special. Quite run of the mill stuff. But, as adventure movies go, it was quite enjoyable. Consider this movie popcorn-flick territory again! Starring Gregory Walcott, Lyle Talbot, Mona McKinnon, Dudley Manlove, Conrad Brooks, Paul Marco, Vampira, Tor Johnson, Norma McCarty Wood, Criswell, John "Bunny" Brekenridge and special ghost star Bela Lugosi. Executive Producer: J. Edward Reynolds. Written, produced and directed by Edward D. Wood, Jr. This is it! The most popular Atomic Age cult film of the 20th century. Winner of two Golden Turkey Awards for Worst Picture and Worst Director of All Time, the immortal Edward D. Wood, Jr.! 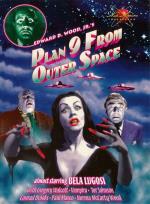 It's all here, the not-so-special efects, aliens in skating skirts zooming around in string-powered flying saucers to implement the ninth plan of Earth's conquest (the first eight failed) with an army of zombies (well, three actually): Vampira, Tor Johnson and Bela Lugosi in his legendary "postmortem" performance (with Ed's chiropractor standing in for Bela after his death). This truly original movie, Ed Wood's Citizen Kane, is a hymn to all those who have ever tried to create something intelligent and meaningful and failed miserably every step of the way. I'm using this as the entry for # since the number 9 is in the title. I first saw some of this movie on television years ago. Even though what I saw wasn’t that great, I decided to pick up the DVD when I found it really cheap. Yes this movie has all sorts of problems, but it wasn’t as horrible as I had expected. There is some potential to the plot that ultimately isn’t realized. The plot ends up being rather thin and not developed fully. The effects are so bad they are laughable at times. The characters have no development at all and the acting is horrible, especially from the stand in for Bella Lugosi. That was just bad on so many levels. This isn’t a great movie, but it isn’t completely horrible either. There are few mildly entertaining moments in it. I have seen worse movies. I did post a review on Epinoins if anyone is interested in checking it out. I know I posted about this one after I saw it in the theater, but I just had to watch it again now that I have my DVD..well Blu-ray/DVD. I got the combo thing because of the good sale I found. I still adore this movie and it still moves me when I watch it. It is fun and entertaining while also having some of the most moving moments I’ve seen in a movie in a long time. I love the interactions between Carl and Russell..and Dug once he shows up. The animation is beautiful and looks just as amazing as it did in 3D in the theater. This is truly the best movie I’ve seen this year. The DVD in the combo thing I got does have some extras. There is the short with the storks and clouds that played before the movie. There is a new one featuring Dug being given a special mission by Alpha that is really cute and ties in nicely with the movie. There is a very interesting extra - I can’t remember the title at the moment - that shows how the director, animators, and other people tied to the making of the movie traveled to South America and visited these huge flat topped mountains - like the one in the area around Paradise Falls. I can’t remember the term for those type of mountains now. There is beautiful scenery shown and I could see things that the animators used for the movie. I really enjoyed this and thought it was really interesting. I think I shared the Epinions link when I talked about the movie originally, but here it is again in case I forgot. Still as smart and charming as ever, Clueless gets a fresh, sassy makeover for this new "Whatever!" Collector's Edition. Alicia Silverstone sparkles as Cher, the matchmaking 15-year-old Beverly Hills High schooler who has shopping and boys on her mind, but mostly shopping. Also starring Brittany Murphy as a dowdy transfer student, Jeremy Sisto as her potential mate and Paul Rudd as Cher's sensitive "Baldwin" step-brother, Clueless is back to capture the hearts of a whole new generation. This is just a fun and entertaining movie. Some of it is a bit silly, but that works with what is happening in the movie. I first saw it in the theater back when it first came out and I’ve seen it several times since and still enjoy it. I think it has held up well overall even though some things are a bit dated now. The characters work wonderfully together and help make the movie more interesting and entertaining. A lot of what happens in funny. Some people might feel like the movie is too silly, but that works to make the movie more entertaining. Overall I really enjoy this movie. I did get a review posted on Epinions a while ago if anyone wants to take a look. I'd say it folows the previous two films quite closely. It's about witches and alchemy (sort of) and I think the style is quite Argento. The style reminded me of another (non-Argento) film, but I couldn't quite come up with what that was. The film did not grab me completely, since I am not that deeply into witchcraft movies, but it seemed quite alright to me (admittedly, I was a bit too tired while watching it and had to rewind a few times ). The story is rather straight forward: "Monster" is released, world goes crazy, heroine goes after the source to stop the madness. Nothing spectecular, but not really bad. What put me off the most was the obvious dubbing that had been applied to this film, apparently due to the film being made in Italy and most people not speaking English originally. Lots of ambient noise is missing. It's quite distracting, actually. Udo Kier is only in it for a few minutes and overacts, just as you would expect him to. I will try to watch it after the end of my marathon, probably the complete trilogy. Of course it would probably doesn't help since I will make the inevitable comparaison with Suspiria. The battle for Earth continues in this action-packed blockbuster from director Michael Bay and executive producer Steven Spielberg. When college-bound Sam Witwicky (Shia LaBeouf) learns the truth about the ancient origins of the Transformers, he must accept his destiny and join Optimus Prime® and Bumblebee® in their epic battle agains the Decepticons™, who have returned stronger than ever with a plan to destroy the world. I don't care what anybody says: I loved it! Oh sure, some parts are completely silly and I can't believe why someone thought it'd be "cool" (B crying? WTF!) I also didn't care with the robots "bleeding" or "losing teeth" while fighting, also why the heck do they have fog coming out of their mouth the speak? Anyways, enough with the bad stuff, it didn't deter what the movie should be about - Robot Fights! And we do get plenty of them! I wish the camera would be a little farther away, and not shake as much.. but I loved the slowmo kills! One in particular who gets his face literally torn in halves! Way cool! They even used the SR-71 "Blackbird" as one of the robots! Individually, they've starred in the most adrenaline-pumping martial-arts adventures ever. Together for the first time, JET LI and JACKIE CHAN join forces to create the greatest epic of them all - 'The Forbidden Kingdom'. As ancient Chinese warriors, they must train and mentor a 21st century kung-fu fanatic who's been summoned to fight a centuries-old battle and free the imprisoned Monkey King. If you're a fighting fan, the wait is over. The team is ready. The Kingdom has arrived. Great movie! The fights are well choreographed, the story is interesting, the women are beautiful and the music sounds good! But I must say, the imagery is the star. Some of the shots are just breathtaking. And you get to see Jackie Chan vs Jet Li! What more could you ask for? When the peaceful inhabitants of the beautiful planet Terra come under attack from the last surviving members of humanity adrift in an aging spaceship, the stage is set for an all-out war between the two species for control of the planet. 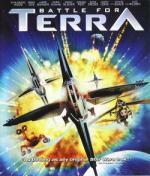 But will an unlikely friendship between a rebellious young Terrian (voiced by Evan Rachel Wood) and an injured human pilot (Luke Wilson) somehow convince their leaders that war is not the answer? I saw this movie at last year's FantasyFilmFest and I have been waiting for a Blu-ray release since. This is a low-budget computer animated movie, which I think has great animation considering its low budget. Of course it is not in the same league as Pixar but I enjoyed it nonetheless. The final battle reminded me very much of the Death Star battle in Star Wars: Episode 4. Even some dialogue was taken from there. Plot:Cameron Diaz and Ewan McGregor are star-crossed lovebirds on the lam in this twisted romantic comedy from the creators of "Trainspotting." Celine (Diaz) is a spoiled, rich young woman whose worst nightmare is having her credit card rejected. Robert (McGregor) is a hapless janitor whose greatest dream is to write the Great American Trash Novel. 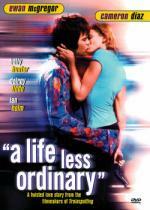 They have nothing in common - except the burning desire to live "a life less ordinary." When Celine is kidnapped by the inept Robert, a pair of celestial cops are dispatched to earth to make sure they live that "life less ordinary" together. Co-starring Oscar®-winner Holly Hunter and Delroy Lindo, this irresistible "profanely funny romance" (ROLLING STONE) is proof that love overcomes all. A hotch-potch Danny Boyle film, rather tedious with ill-casted leads, minimal comedy, zero romance, and a boring silly storyline. After Shallow Grave and Trainspotting, this was a directors low point. After a good start, it went downhill, and only the claymation sequences at the end piqued general interest. Rather odd overall, it never shines in any specific area, and you feel no affinity to the cast. Best part of the film is definately the soundtrack, which mixes some great music together and works really well. Plot:Academy Award® Nominee Amy Adams, Golden Globe® Winner Emily Blunt, and Academy Award Winner® Alan Arkin find an unexpected way to turn their lives around in this “colorful, refreshingly quirky comic drama” (Leah Rozen, People). 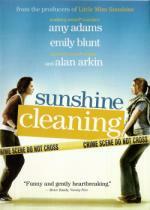 Desperate to get her son into a better school, single mom Rose (Amy Adams) persuades her slacker sister Norah (Emily Blunt) to join her in the crime scene cleanup business to make some quick cash. With the help of their ill-fated salesman father (Alan Arkin), they climb the ranks in a very dirty job, finding themselves up to their elbows in murders, suicides, and...specialized situations. But underneath the dust and grime they also come to discover a true respect for one another, and create a brighter future for the entire Lorkowski family. Well it is listed as a comedy drama, but I must have missed the funny bits, for me it is through and through a light-hearted drama following 2 sisters attempts to make money and deal with lifes challenges. Unfortunately I never felt enough empathy or sympathy with the leads, or else I may have enjoyed the film more. It is not rubbish by any means, there is a solid storyline, some good acting, a few interesting sideline characters, and a nice pace helping the film trot along easily. This is a story of hope, definately uplifting, and if you like such quirky films, this may be suited well for you. Legendary director Terrence Malick takes you on an adventure-filled, romantic journey of discovery with this critically acclaimed, Oscar nominated epic set in the turbulent first days of the new America. Based on the true story, this sweeping saga tells the tale of Pocahontas, the impetuous Native American beauty (Q'orianka Kilcher) whose relationship with Captain John Smith (Colin Farrell) sets off a battle for a new nation. Terrence Mallick is a wonderful director, but I think he might have rushed this. After all he'd waited over 20 years to do The Thin Red Line and polished this off in less than seven! The story of John Smith and Pocahontas is one of histories great romances. Unfortunately there is little evidence it happened, aside from Smith's own memoirs, written well after the fact and repeating moments from other expeditions. Did she save his life? Did they have a love affair? Unknown. It is a fact that she helped the settlers of Jamestown when they could have starved, ironically giving them a foothold from which they persecuted her people, eventually holding her captive, by which time Smith had already left due to injury. She married John Rolfe and went to England as a Princess of her nation, where she briefly met John Smith again. Much of the film is narrated and it's a brilliant conceit, allowing the main characters to tell their story, which is how this history was recorded. 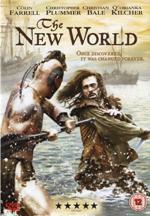 The first act is John Smith (Colin Farrel) as he goes up river alone, risking his life to talk to the "Naturals" and there he meets Pocahontas (Q'orianka Kilcher). Their tentative romance is ambiguous, but heartfelt and honest. It works all the better for the refusal to be explicit. Her narration takes over, especially once in the fort. And in keeping with historical facts, her comments could be interpreted on several levels. Much later, after her baptism and learning English, she hears that apparently long-lost John Smith is alive and so admits to her new husband, John Rolfe (Christian Bale), that she is "married". He challenges her understanding of that word and it's a good point. His story is the final act and I found him the most affecting. All three actors are marvellous, but it's the optimism I found refreshing for a provactive story like this. Bale plays Rolfe as hurt, but honourable, and arranges a meeting between the two lovers in England so all their histories can be resolved, even though he must have been terrified of the result. I thought it a wonderful scene and if it's true, such a testament to all of them. This is not a film for cynics, but for those who want the romance and I enjoyed its dream-like telling of the story. The opening is very powerful, as the two great ships appear to the natives. From then on as you'd expect from Terence Mallick, it takes it's time. If you're in the mood for it, the time flies by in amicable company. By concentrating on emotion rather than event (his editing lingers on faces, but cuts through conversation), it seems more affecting. There is some action, but sporadic and inconsequential, which may infuriate those looking for a starker view of what happened to the Natives. The photography is gorgeous and the score matches well, apart from James Horner recycling his Braveheart theme again. Many important events pass by in a blink of the eye while seemingly inconsequential scenes linger, but the big events would be predictable and Malick isn't concerned with a blow-by-blow account. Leave that to the documentaries, while this drama can try to give us some insight into "why" rather than "what". Perhaps he goes too far and oversimplifies though. Accounts suggest her guardians were tricked and she was held captive until a disagreement with her people led her to say she would rather stay with the English. A controversial stance perhaps and Malick chooses to make it more ambiguous, but still leans toward Pocahontas being exiled by her father anyway. Her feelings toward her marriage were also not clear, so Malick sits on the fence and plays the odds! While I do like that approach, some changes are infuriating, just like with Braveheart! Is it James Horner? Does he say "I'll only score this film if you screw around with it"? John Smith's character is undermined when he leaves the fort after Pocahontas has been held captive, instructing them to wait two months then tell her he drowned. In reality, he'd already left after almost shooting his own leg off in an accident! Why change it? It would surely have been more affecting if Pocahontas had arrived to find him gone and her period of madness even more understandable and would have made her willing transition more convincing. Especially as she'd apparently told her father she no longer supported him, but here she is exiled. It's unnecessarily confusing an already enigmatic character. I understand that Europe has a shameful history in the colonisation of America. I don't want to trivilaise that, but I like to think Malick had the right idea presenting Pocahontas with hope and honesty, regardless of what the years would bring for her people. It's easy to read into both her relationships and her arrival in England that Pocahontas was used. Received by Royalty? Maybe but surely the intention was to demonstrate the savages could be tamed! Even if no-one, least of all her (unless you count her madness) seem to realise it, her story is at odds with the violence of America's birth. As far as metaphors go, this might be the limit, but as I've said, Malick's film is very heartfelt. Perhaps critics would say it lacks focus, or at least backs away from the thornier issues of the time. Well, political irony certainly has it's place, but I wasn't sorry to find none here. What thoroughly wonderful entertainment! It's entirely predictable and goes a bit sentimental a few times, but it's fast and funny, and genuinely exciting. 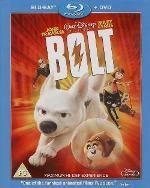 It uses it's premise very well and I was impressed how the film continued to have big set-pieces to match the opening, even when Bolt knows he doesn't have powers. 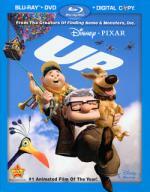 It definitely follows the template of recent animated films, especially Pixar (John Lasseter produced this). We have the abandoned lead, miles from home, forming an odd couple, picking up a comedy sidekick and a supporting cast destined for a cult following (New York pigeons! ), but I don't care when it's this much fun. I thought Rhino the hamster would get old quick, but he really doesn't. Very funny and re-watch value is huge. An iron, pencil sharpeners and water faucets on the dashboard: this is "Spaceship Orion". Made for super-cheap and fairly seriously at the time (1966! ), although tongue mostly firmly planted in cheek this TV series is a cult favorite in Germany. This movie is put together from scenes of the 7 episode strong series and is surprisingly cohesive. Most stuff of this series is involuntarily funny to the "modern eye" and as such the Orion is still going considerably strong today. The inventive set design, the weird dances going on in the background and the strange dialog, all this has almost turned this into a comedy over the years. The acting is adequate and adds to the feeling. heck, at times I was not even sure if they meant to make a comedy in the first place, almost 40 years ago. The movie DVD comes with an English subtitle track; the TV series unfortunately not.